The navigation bar on the left can be used to find information on topics such as firearms law, laws on knives and other weapons, local regulations, self-defense laws, pending legislation, and past legislation sessions. This content is designed to help you understand and remember Nevada weapons law and to point you in the right direction to find out more. It consists of summaries and quotations of many of the laws all in one place and in a sequence that will hopefully aid in understanding compared to simply searching directly through the laws. However, direct links to the actual laws are often provided. I encourage you to visit the Nevada Legislature website directly as well. What content is coming soon? Right now most of the relevant state and local laws are listed. However, I plan to create some different guides to looking at these from different perspectives. For instance, I plan to create a page all about knives where all the state, federal, and local rules will be located in the same place. As it is now, one would need to look at the page for state laws for non-firearms, check the local weapons regulation page, and also find the federal and other restrictions from other sources. February 20, 2015: I was informed that discharge of firearms is prohibited at the Prison Hill Recreation Area maintained by the BLM. December 16, 2013: The Nevada Division of Family and Child Services met today in the State legislature building to discuss amendments to regulations including NAC 424.600 which relates to weapons in foster homes. The purpose of the change was to allow for law enforcement officers on duty to possess a weapon. However, I testified to the effect that the regulation should be considered invalid entirely due to the state preemption laws and a lack of specific statute authorizing the division to create gun regulations. Present rules prohibit a foster parent from having a gun accessible for self-defense. 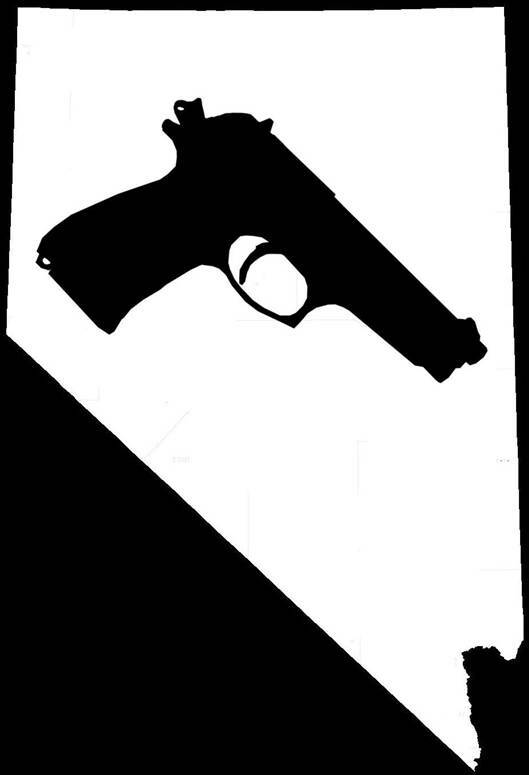 August 1, 2013: The list of state permits that Nevada recognizes have changed. Nevada now recognizes the Idaho "enhanced" permit and the North Dakota "Class 1" permit. Nevada no longer recognizes the Rhode Island permit. June 1, 2013: The Nevada Legislative session is over. New Concealed Weapon Permit qualification rules will take effect on October 1. May 20, 2013: The format of the Nevada pages has been changed. The navigation bar has been implemented and now there is a Nevada constitution page instead of repeating this content on several pages. I will continue to make changes to reduce redundancy and improve readability. Every week day I am also updating the weapon related bills for the 2013 session.